Activity monitors and health trackers have been popular among health conscious individuals for a couple of decades now, with massive technology improvements made over the last few years. Now, companies are bringing all those benefits into the pet industry, particularly focusing on activity monitors and health trackers for dogs. In the most basic sense, what an dog health trackers do is record your pet's behavior patterns and activity, and send that data feed to your smartphone. This helps pet owners to track and monitor their animal's behavior changes. The reason this is useful is because it can tell you whether your dog needs more exercise or, more importantly, if there's any indication of some medical conditions and potential health issues with your Fido. In this podcast episode, I had the pleasure of talking with James Andrews, a veterinarian and founder of Felcana, a pet technology company focused on health activity monitors for dogs and cats. James tells me a story of how he grew tired of seeing pets being brought into his vet clinic for treatment of diseases which could've been prevented if the owners have spotted the signs of ailment at an earlier stage, and how pet health monitor and apps can help with this problem. Today, speaking of reaching out to experts in the industry, I spoke with James Andrews who is the creator of a health monitor, it's a new health monitor that's hitting the market, and his company's called Felcana. Now the health monitor that he has is similar to traditional activity trackers for pets but it offers some really great benefits that other products don't offer as well. So when you think of activity monitors certain things probably come to mind like monitoring your dog's activity level, how much he sleeps, maybe monitoring the time that he spends inside or outside, things like that, which are surely beneficial. Felcana kind of takes it up a notch, and this is a new product that actually hasn't hit the market yet, right now they are wrapping up a Kickstarter campaign and they are only about $5,000 short of their goal as of today which is when I'm recording this podcast, it's November 1st, and so they've got a couple of weeks left to go and they're fairly certain that they're going to meet their goal. Anybody that backs them, those first models should be being sent out for beta testers in the Summer of 2017, and later next year, about this time next year right before Christmas they are hoping to release their product on the market, it hits store shelves. So Felcana might be something that you're looking for to buy for the dog or dog owner on your list, or pet owner I should say because they work for cats too, next Christmas. So I again spoke with James today and I'm going to let you guys go ahead and listen to that interview because there's a lot of great beneficial information in there about the company and how that came about, as well as health monitors and the importance of those as well. Samantha: I'll start off by just welcoming you to the podcast, the Theory of Pets. We're excited to have you and I'll ask you first to just tell me a little bit about Felcana and how you came up with the idea for the company. James: Yeah. Well so it's great to be on the podcast, and we first started building Felcana early in 2016; and Felcana is the eco-system of connected devices for pets, for their owners and for vets. And what it is is a network of small devices that you can either place on your dog or your cat and beacons that you install around your home, you can place them anywhere you like, next to your water bowl, next to your dog's basket, next to your dog's flap, you know if he has a dog flap to go outside into the yard, and both the devices that you put on to your dog's collar and the beacons, and the aim is to know a lot of information about your dog's behavior, his activity levels, how much water they're drinking, how much time they're spending in bed, and that's incredibly useful for pet owners because it gives them more information on what their dog's up to, it can help them with early identification of diseases. So things like arthritis, which is quite common in dogs we can use both the activity monitoring in our device that goes on a dog collar but also the information coming out of our micro location beacon, so for example one next to the dog's bed to say your dog is starting to do a little bit less activity, maybe he's not running quite as quick as he used to and he's spending a little bit more time in bed and we can use that to identify early signs of diabetes. Those sorts of questions; and often pet owners don't really know, sometimes they think they know but then when you really dive into the details and ask more specific questions they don't. And so we realize we can use technology, and the technology we're building at Felcana to really answer those questions and help vets diagnose disease in dogs and cats as well more quickly and therefore treat dogs more effectively. Samantha: Yeah I think that's wonderful, I mean especially for pet parents that…you know I'm thankful that I work from home and that I can be with our dogs all the time so it's easier sometimes for me to notice if their behavior is a little bit off, but especially if you're out of the house for hours every day it's nice to have technology tracking your dog's behavior than looking out for those signs and symptoms when you're not available. James: Absolutely. And it also has…we've built in a few extra pieces of functionality into Felcana to make it really cool as well. So we've put onto the device that goes on your dog's collar a light, and you can use that light if you're walking your dog at night, and you can take your smart …Felcana Smart Band app and switch the light on and you can either the light always on or you can have it flashing so that you can see your dog at night when you're walking him in the park or down the road and you don't have to worry about him as much because you can see exactly where they are all the time. Samantha: Sure that's a benefit. I live in a very rural…we are very much out in the country and a lot of pet owners own lots of acres of land so that beacon will also be really helpful too if you let your dog out at night just to be able to keep track of them in your yard if you have a big yard. So that's a wonderful addition. James: Absolutely. Another thing you can use our Felcana system for is monitoring your dog walker. So having someone come into your home when you're at work and take Fido out for half an hour or an hour is becoming increasing more common and you don't know if the dog walker is taking your dog out for half an hour like they should be or actually just going round the corner with your dog and having a coffee for ten minutes and then bringing them back. And you can use our Felcana system, including the smart phone app to check that the dog walker is coming at the right time and they are walking your dog for the right length of time as well. Samantha: Oh that's excellent, that's something I would not have thought of, but that's a wonderful feature as well. Is the beacon as well as the device that goes on the collar, are they water resistant or water proof? Are they good for outdoor use? James: Yeah. We spent a lot of time making sure that all of the Felcana products are extraordinarily durable cause as we know dogs can really put things through their paces. We need to make sure that not only are they waterproof but dogs like to jump in lakes, things like that, but we need to make sure that they're very strong and rugged too so that when your dog's running through on the road or even sort of chewing on it, if they were to do that that the Felcana devices would stand all that sort of stuff. So they're incredibly durable. Samantha: Wonderful, that's great to know. And we've already talked a little bit about some of the things that make Felcana sort of stand out, I think we had talked about how technology is increasing, It seems like every day there is new products on the market. So we're seeing some similar types of products, some activity monitors, and I know that you had mentioned the beacon and the durability. Are there any other things that make Felcana really stand out from other similar devices? James: Yeah I think there are a few things. So the size of Felcana, Felcana it's very very small, it only weighs nine grams, which I think is about a third of an ounce, so it's very very small. It's designed to be very very comfortable for your dog as well, so we spent a lot of time making sure that the design is very very streamlined with a dog's collar so that when your dog is asleep at home, the Felcana device isn't rubbing off on their neck, it's not squashing their windpipe or anything like that, it's very very comfortable. So we made sure that we got that base covered. And then we also wanted to make sure it looked good because from our research of other devices out there for dogs and cats we didn't really think any of them looked nice, and it's important if you're walking your dog to make sure that you're happy and your dog look great. So we spent a reasonable amount of time making sure that our device looks nice as well. Samantha: Great! So the benefits for activity monitors, we'd already talked about how it can monitor their activity level and how much water they're drinking and things like that, so if somebody came to you, because obviously technology it's not a must-have but certain things like this are…there are some great reasons to have them, if a pet parent came to you and said, “Geez you know I'm considering buying an activity monitor like Felcana but we don't really have the extra money in or budget.” What would you tell them are some of the best reasons for purchasing an activity monitor, and specifically maybe Felcana in general? James: Yeah. So I think you mentioned sort of you don't have a large budget to spend on one. So Felcana is not tremendously expensive, we've spent a lot of time making sure that our price point is very affordable. So currently we're selling a Felcana on a pre-orders basis on Kickstarter, and the full system including beacons, including the Felcana collar, and including the hub to charge it in is only $78, so it's not tremendously expensive, and in terms of our competitive position on pricing, we're very competitive. James: …and we all know how much those can be. Samantha: Absolutely, yeah. Yeah I mean just from early detection of a common disease you know you could save yourself hundreds if not thousands of dollars. James: That's right. And a good example is arthritis in dogs. And I keep mentioning arthritis and that's because roughly about 20% of dogs will develop arthritis over their lifetime, so it's very very common. Early treatment of arthritis is paramount in terms of maintaining your dog's quality of life but also ensuring that you're not spending lots of money on drugs and even surgical type treatments. And by noticing an early onset in arthritis what you often see is a reduced level of activity and the dog not running quite as quick as it used to means that we can do…or vets can either take much more simple treatment, if you want to call it that, earlier on. So for example we can make sure that the dog is the optimal weight, often we have many obese dogs in the world and if the dog is obese and it's got arthritis then it's going to make the arthritis worse. So we can start to treat things earlier and reduce veterinary bills that way. Samantha: Great! It's certainly I think, as far as talking about the budget and affording any kind of pet activity monitor, that's certainly I would think would be a number one reason for a lot of pet parents, I mean like you said, that the savings over time could be really tremendous. James: Absolutely, and it's not just savings, it's not just a veterinary benefit, there's tons of really fun, interesting stuff that you as a pet owner can get, you can see how much activity your dog's getting. We divide the activity not just sort of into ‘active' ‘non-active' but we take it down to the next level, so we can differentiate running, walking, lying down, sitting, et cetera, et cetera. And then you can compare your dog with other dogs in the neighborhood to see if you've got a very athletic energetic dog or is your more sedate, so that you can compare your dog with similar breeds. So if you're comparing Labradors, you can compare Labradors and see how your Labrador compares with other Labradors; and then you can compare your dog with dogs in general. And so there's lots of generally useful, fun, insightful information that you can get out of the Felcana Ecosystem. Samantha: Definitely. So…the information to compare is that all on the app? Can you look on the app and see dogs in your neighborhood or different dogs of the same breed? James: Yeah, exactly. So the app is… we've designed the app to be a very intuitive, so I think it's often easy to make an app very very difficult and complex and we've spent a lot of time making sure that our app is very simple to use and very intuitive, but also has all the information at your fingertips should you need it. So we have our home screen where you get basic reminders, we have the ability for you to put in some specific dates into a calendar so you get alerts be that worming dates, vaccination dates, other dog's birthdays and such like, so you can record all that. But you can also do this comparison and you can very simply sort of filter the data to understand how your dog compares to other similar dogs. Samantha: For somebody like myself who is interested in technology but not super technologically-savvy that is great news because like you said a lot of times I find apps that are a little bit overwhelming when you don't really know how to navigate through them I guess at first, and it takes some time, so it's great to hear that you've taken the time to make sure that that's easy to use for us pet owners that aren't as tech-savvy. James: It's good to hear and it's important to get it right out with these apps because you need to make sure that they're giving pet owners and vets the right information on what they need but at the same time you don't want to make them overwhelming. Samantha: And for somebody like me who we have three dogs, is there a way to monitor multiple dogs at once? James: Yes absolutely. So all you need to do is buy extra collar devices, you don't need to buy extra beacons, and you can have as many collar devices in your home as you would like. So it will work with three dogs, it will work with 33 dogs. Samantha: And it all goes to the same app or do you need…is there like a different home screen for each dog? James: You can…so we don't combine all the dogs on to one home screen because that gets very very complicated. How it works? It's a little bit like your Twitter account for example or your Instagram account where you have a little button being flipped between the different account so you can flip between the different dogs all on the system. Samantha: Great, so it's super easy to check on all three of your dogs at the same time if you wanted to. Samantha: Great! So and then if I'm then going to link to the Felcana website too so people can check that out and the Kickstarter link as well. And on the website if people want to check that out they will see the database that Felcana is building, so can you tell me a little bit about that database and how it's going to be used? James: Yes, so of course what we're doing here is gathering data about your pet and then that data is sent to the Felcana Cloud and that's where we can do all the comparisons of your dog with other dogs and it's also where we run our algorithms to identify early signs of disease. And then what we can also use that database for is epidemiology, so identifying how diseases are evolving in the pet world. So we can trace diabetes, let's use that as an example, we can identify diabetes in many situations and then we can study that and we can compare diabetic dogs in certain parts of the world, different ages, of different breeds and use that information to help further veterinary research and help further knowledge about diabetes in dogs so that veterinarians and researchers can start to look at some of those traits. 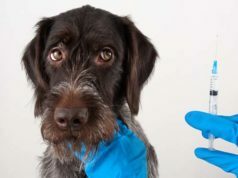 It's very hard to find that information at the moment so there are some…at the global level believe they can use that information to help them for their research and hope to improve the treatment of diseases in dogs. Samantha: Yeah that's amazing! That could have some huge benefits on the veterinary field in the future. James: I think you're absolutely right, and we have a few connections with a number of the world's leading veterinary schools and it's something that they really struggle to get is good data that's at a more global type level. It's quite easy for them to get data in terms of dogs coming into their local clinics but if they want to look at something at a higher level it's very hard today to get that data, and so using Felcana Ecosystem we can help that problem. Samantha: Yeah, I mean that's fantastic, you know dogs are so great for so many reasons but I think one of the best things about dogs is how different they all are within…you know just the canine species there's so many breeds, and even within breeds themselves there's so many differences, so it's nice to have a way to get a lot of information on so many different dogs, like you said, not just necessarily in one area but all over, so that's fantastic. James: Yes, we think so too. Samantha: And so you had mentioned briefly that you're running the campaign on Kickstarter and that is running for a few more days right? James: That's right yeah. So it finishes on the 14th of December so we've got 13 days left as of today. Samantha: So how is that going? James: It's going really really well. So we've set ourselves a target of 25,000 pounds and we are currently 81% of the way towards that target, so we expect we'll reach it. We've had a tremendous response from pet owners and specifically dog owners all around the world, we've had people in countries like Argentina, South Korea, New Zealand, the USA, pledging towards Felcana on Kickstarter, and we've also had a lot of veterinarians too pledging Felcana, but also contacting us to say this is a really great product and they want to try it as soon as they can and practice and they've even started to talk to some of their patients and then their patients' owners about how they can use Felcana to help their dogs out. So it's been tremendous, it really has. Samantha: Yeah absolutely. I have no doubt you guys are going to hit that mark in the next two weeks, so that's really exciting for you. James: Absolutely, absolutely, yes. We're really excited about the whole opportunity that there is to improve how people look at the dogs and cats using technology. I think there's a lot of great technology out there, I think there's going to be some amazing new technology that we start to see coming out being available in the next few years, and I think it's only good for the dogs, dog welfare and veterinarians. Samantha: Absolutely. So if with the Kickstarter everything goes great, you guys make your goal, what are the next steps after that? James: So as everything on Kickstarter is we still have to tweak our products to a small extent. So we'll make a few refinements to it, nothing major, just a few tweaks around the edges to make sure it's absolutely perfect, and then we need to start our production. And so we will in early 2017 start our manufacturing, start getting those production runs up and ready to go; test those to make sure they're working well, and in parallel to that we'll be using some of our beta testing devices to gather more info from pet owners and vets on exactly what we need to do and any tweaks that we need to make to the app. So there's a real opportunity for anyone out there if they want to pledge towards us on Kickstarter for them to also help us with beta testing, and we're looking for beta testers to have small dogs or large dogs say in the USA, in wherever. So we want a big break with different pet owners to test Felcana out to its max and make sure it's absolutely perfect. Samantha: Absolutely. And so if people, obviously if they want to pre-order, if they want to get one of those to have one of the initial products that are coming out they can jump on Kickstarter right now or any time in the next couple of weeks and donate there. And what are those donation levels and what will people receive? James: So we have…one we call the ‘Super Early Bird Felcana Pack' and that is 78 US dollars, and in return for that you will receive one Felcana Helix collar device, two micro locations to place…micro location beacons to place around your home, and a Felcana Home Hub to charge your Felcana devices in; and you'll receive those in the Summer of next year. Samantha: Perfect, that's great, so especially for just $78. And did you say the beacons they can be used outside if you wanted to put one out in your yard? James: Yeah absolutely. Yeah so you can place one of those out in your yard if you want to do that. Then the standard pack comes with two beacons and that would strictly be for an indoor use case, so you can… dog's water bowl one, near your dog's bed, but there's also the facility to buy extra beacons, they come in pairs so you can buy two extra beacons and then you can start placing them round your yard. So you can put one in the favorite place that your dog likes to spend his time in your yard to see when he's there or you can put one sort of by the tree if you didn't want him to go near the tree or whatever, so you get alerts if necessary about that. Samantha: Yeah, what a versatile tool, it's really exciting how much you can do with just one Felcana pack, that's amazing! James: Yeah we think so. We think so and we spend a lot of time making sure it's really great, and yeah, we think it's amazing as well. Samantha: So you think early donator will receive their products maybe in the Summer of next year, do you have maybe ballpark of when we might be seeing them on store shelves? James: …yeah and the folks on Kickstarter they'll be the first people in the world to get them. James: That's really great, we hope to have them on the shelves in some retailers across the US and Europe before Christmas next year. Samantha: Yes, sounds like it might be a really good pet or pet owner Christmas gift for 2017. So that's exciting. James: Absolutely, absolutely. And you know the thing in terms of the Christmas gifts, what we're about to launch on Kickstarter campaign is a special Felcana Christmas card, it's quite a British tradition I think to give people Christmas cards, so we've got a special Felcana Christmas card, so if anyone wants to pledge to Kickstarter right now we'll get a Christmas card over to you before the 25th for a…December, so you got a little memento if you're giving Kickstarter pledges as a gift to someone..
Samantha: Of course I have to thank James for speaking with me today, that was some really great information. And just to kind of highlight what he said about pet activity monitors and health monitors, they are a little bit more expensive than some parents maybe can afford right away but it is a great thing to squirrel away some money for and purchase because it can really save you a lot of money in the long run on those vet bills and it can tell you a lot about your dog, which is great information to have especially over the course of your dog's life, you can kind of see how his activity changes as he grows and develops. So you can learn a lot about your dog, your vet will know a lot of information about your dog that you might not normally be able to give them in case there is any health problems in the future. And then of course just noticing and monitoring those changes, noting when any signs or symptoms of some certain health issues can pop up that preventative care or early detection with some of those diseases can really save you a lot in the long run and the health monitor is going to end up paying for itself. So if you're interested in Felcana jump on TheoryofPets.com, you can find a link to their website, you can also find a link to their Kickstarter program, again that stops on December 14th, which is not very far away. So if you're interested in that you can get in on one of those, be one of the first to receive one, and if not be looking for those to hit store shelves about this time next year. I will keep you guys updated on any new developments. Like I said, the beta testing should be happening throughout early and middle 2017 so if there's any major changes or anything like that coming I'll be sure to update that and let you guys know, but I think as far as James mentioned, just some small tweaks and it's got so many great beneficial aspects that it's pretty much going to be ready to go. So put that on your Christmas list next year if you're a dog or cat owner, and if you have a dog or cat owner on your list that has everything it might be a great gift to think about, it's certainly much more affordable than many health monitors, so I think it'll be a really great thing to see it hit the market and see how well it does.